Trade Assistant helps in order management. Just run EA, set up your settings and open trade. 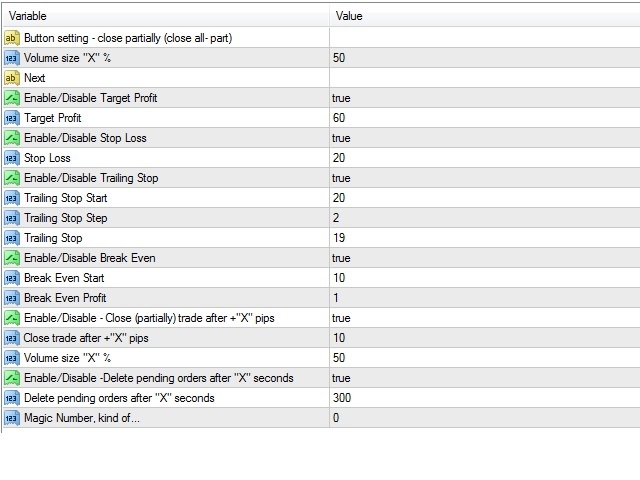 EA automatically set = Target Profit, Stop Loss, Trailing Stop/ Break Even, Close (partially) Trade after + "X" pips ( Volume size "X" %), Delete pending orders after "X" seconds. 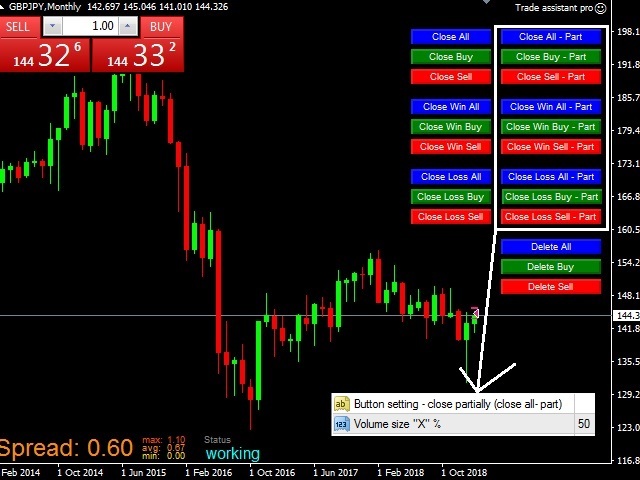 See the buttons on the chart.